The denial of the European peoples' right to their own heritage, history, and even their physical homelands has become part of the cultural fundament of the modern West. 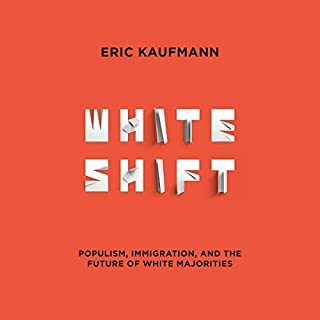 Mass immigration, selective and vilifying propaganda, and a constant barrage of perverse or, at best, pointless consumer culture all contribute to the transformation of Europe into a non-entity. Her native population consists mostly of atomistic individuals, lacking any semblance of purpose or direction, increasingly victimized by a political system with no interest in the people it governs. There are many views on how this came to be, but the revolt of May 1968 was certainly of singular importance in creating the apolitical, self-destructive situation that postmodern Europe is in today. This, however, is no history book. It is not primarily about how this came to be, but rather what can and should be done about it and, more to the point, who will do it. 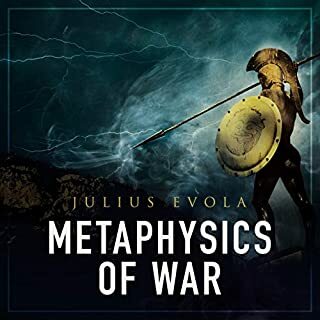 After the treachery of the political, journalistic, and academic pseudo-elites and the complacency of an entire generation of Europeans which enabled it, it falls upon the young - the foremost victims of the derailing of Western society - to turn the tide. 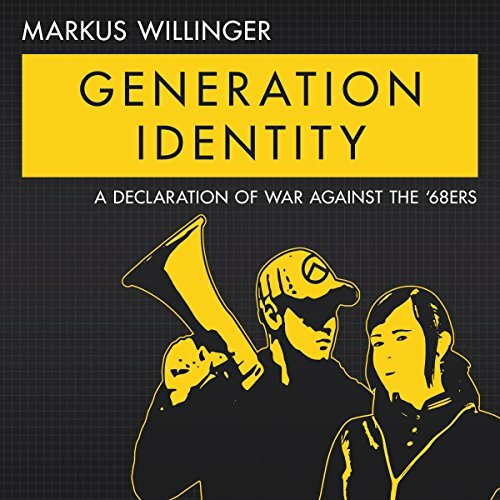 In Generation Identity, activist Markus Willinger presents his take on the ideology of the budding identitarian movement in 41 brief and direct chapters. Willinger presents a crystal-clear image of what has gone wrong and indicates the direction in which we should look for our solutions. Moving seamlessly between the spheres of radical politics and existential philosophy, Generation Identity explains in a succinct, yet poetic fashion what young Europeans must say - or should say - to the corrupt representatives of the decrepit social structures dominating our continent. 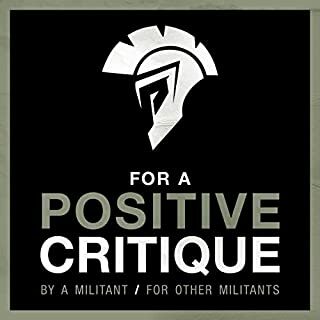 This is not a manifesto, it is a declaration of war. Markus Willinger was born in 1992 and grew up in Schärding am Inn, Austria. He has been politically active on the alternative right since he was 15 years old and is now a student of history and political science at the University of Stuttgart. ©2013 Arktos Media Ltd. (P)2017 Arktos Media Ltd.
A declaration of war on the multicultural cancer that infected Europe in the aftermath of the horrors of the Second World War. This is an excellent, rousing exposition of Identitarian thought. 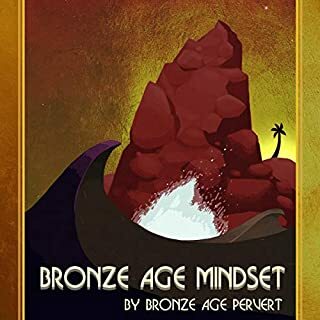 I had not understood much about the movement before listening to this audiobook. Certainly, very little written in the press about Identitarianism can be trusted. 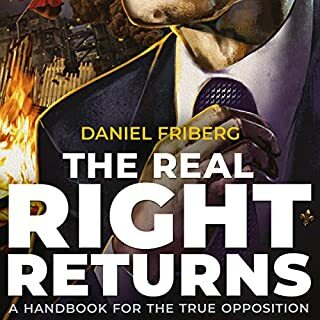 It is best to learn about a political movement from those within that movement, and this audiobook provides the opportunity to do just that. 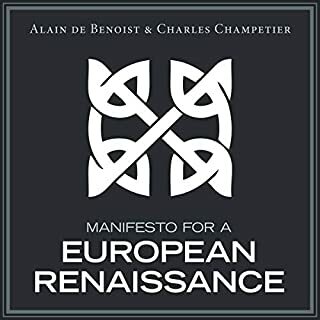 This book will ring true with a generation of Europeans. This generation will rebuild their societies and be heros to their children. I bought this out of curiosity. The narrator sounds like an entitled posh nonce. It was impossible to finish. This sounds like it was recorded in a public toilet by a 15 year old. It's basically a massive egotistical winge to mommy and daddy about how crap life is. Pretty embarrassing really. It should be called Generation Victim.